Stunning Gavin made with beautiful organza in striking “fire” colors of red, orange, and yellow set against lush black velvet bodice. 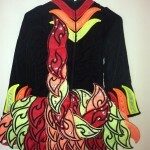 Dropped waist skirt made of layered “flames”. 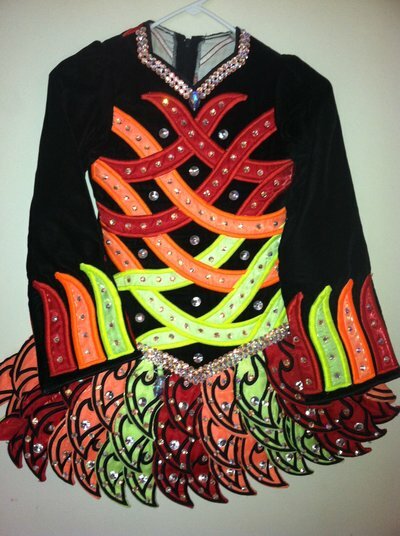 Dress is adorned with AB Swarovski crystals both large and small. Brilliant teardrop shaped crystal accentuates the neckline. Matching number clip attached. 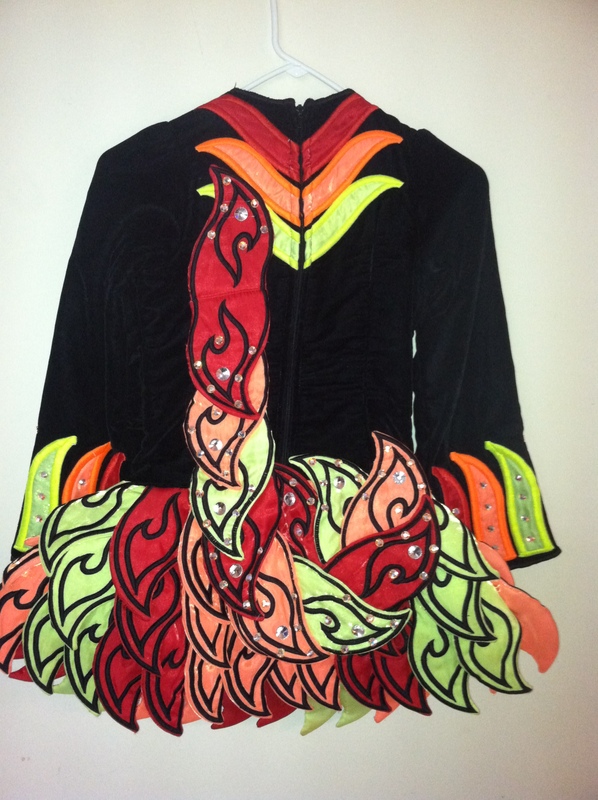 One of a kind cape is designed of “J” shaped flames. 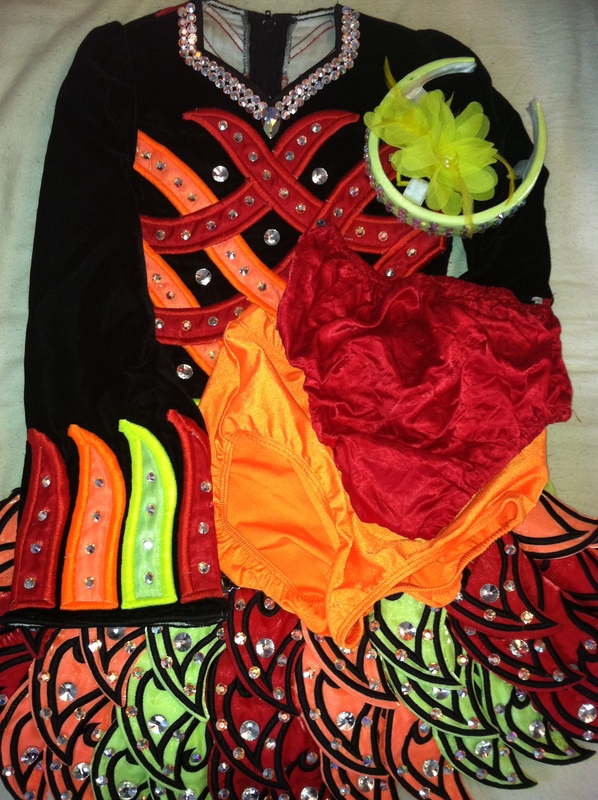 This “champion” dress, worn by a slim and petite U11 dancer, really stands out and is absolutely stunning on stage! 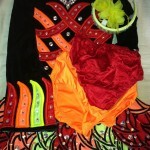 Two pair of bloomers (red and orange), the original matching headband, and a flower are included in the asking price. Asking Price: $US700.00. Shipping costs are not included in the asking price. Returns are negotiable.